Imagine going into work tomorrow telling your boss that you will no longer work for your company. Now imagine that and demanding that they must send you to a company you approve, have that company pay you the salary that you desire, and make sure that your current company gets no compensation for you leaving and a giant headache as well. If you envision that and would expect to get laughed at and get told to go back to work for your average pay then odds are you would be correct. 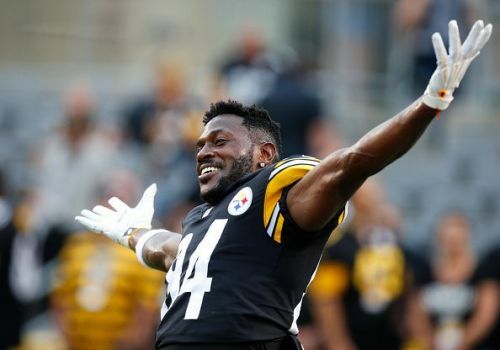 Most NFL players would have agreed with that notion at the beginning of the season before all of the Antonio Brown drama, in fact, most would have still agreed just a few days ago. The Pittsburgh Steelers were supposedly ready to dig in their heels and make sure they were compensated for Brown’s Hall of Fame talent. They were ready to let him ride off into the sunset as Brown continued his tirade against his own trade value as he went on regular rants against the Steelers and ensuring only a few teams would touch him. When Brown broke the news that the Raiders had traded for him, there was a sense of relief that the debacle was finally over and that it would be a clean break. Well, instead this came out as one of the most lopsided trades in NFL history (I would put it up there with the Cowboys’ Great Trade Robbery). All the Raiders had to give up was a third and a fifth round pick for a true number one receiver and a superstar to build the team around when they move to Las Vegas. The people in Pittsburgh got the equivalent of AJ McCarron and some pocket change for losing their best offensive player and taking on a $21 million cap hit. To say they took a loss in this transaction would be an understatement. Before we go any further, let's not praise Gruden and new GM Mike Mayock as if this was an extension of the Amari Cooper trade. They did not give up Cooper and some mid-round picks for Brown and a first round pick, they didn’t even know Brown was upset when Gruden was stripping the team bare for picks. After all that, the true winner in this trade is Brown and any future player. He has shown that like in the NBA and other sports that players now have power in the NFL, something that was shown by former teammate Le’Veon Bell. Some may call it greedy, or call him a traitor but at the end of the day, most owners treat their franchises just like what it's meant to be - a business. We've seen players giving their all to teams and getting cut out the moment they were expendable. Brown continued his tussle with the Steelers and won. In turn, he gave some power back to the players.